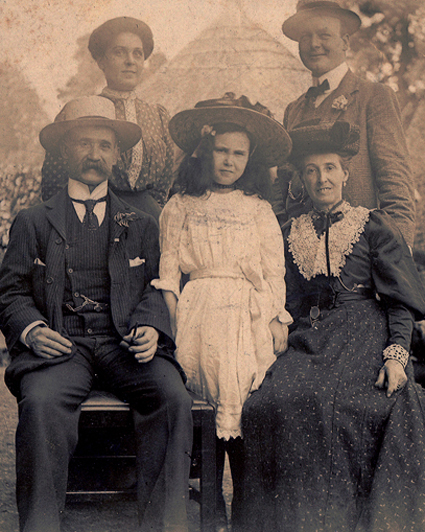 These historic photographs show Lambert William Harris with family members.Top left from circa 1905 Lambert is shown with his wife Alice nee Bristow. Between them is their daughter, Grace (known as Ivy) aged about 8. The two people behind are presumably friends of the family. The photo top right shows an excursion to the Isle of Wight. Left to right top Lambert and his son Walter. Bottom is his mother Alice and Walter's brother Lambert Thomas with the family dog. 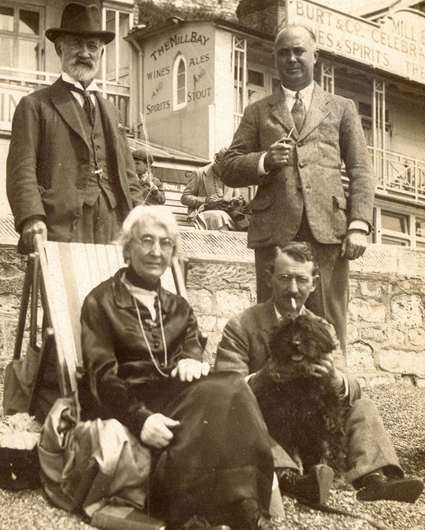 this picture was taken in the early 1920s outside the Mill Bay hotel on the Esplanade Ventnor which is still there. 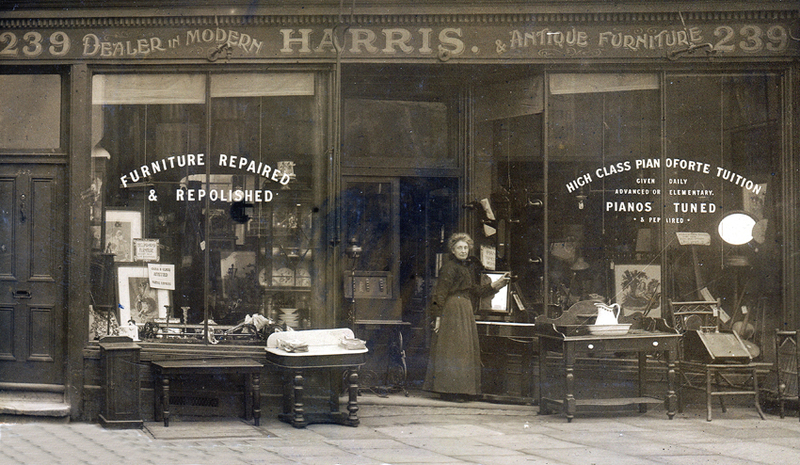 The photo below shows Lambert William Harris's shop in Highbury from this period. Pictured standing outside the shop is his wife Alice.